The Hearthstone world championship was held at Blizzcon this year and featured a ton of thrilling matches kicked off by the launch announcement of the next adventure set - The League of Explorers. Blizzard couldn't have hoped for better with most matches showcasing a variety of decks and strategic play winning over luck. Unfortunately, the Hearthstone I saw at the world championship is pretty much the opposite of the Hearthstone I get to play at home. Increasingly the game is becoming pay to compete and the upcoming adventure is just adding fuel to the fire. Observant readers will note that I used the phrase 'pay to compete' instead of 'pay to win' in the above paragraph. This is because I feel that, as demonstrated by the play at the world championship, Hearthstone is fundamentally a game that favours skilled players and that even a well crafted deck loaded with expensive cards won't win if the player piloting that deck doesn't know how to play. When card collections are equal, the superior player will usually come out on top with the majority of their losses attributable to unlucky draws. Further, tournament formats such as best of five matches generally do a good job of sorting out the superbly fortuitous from the genuinely skilled players. Unfortunately, in most cases card collections aren't equal and decks missing a crucial legendary (the most rare/expensive type of card) face an uphill battle before the first card is even drawn. If your deck is substituting a few cheap common cards in place of game finishing legendaries the disparity between yours and a complete deck becomes exponentially worse. In this sense, Hearthstone is pay to compete as skill ultimately wins out but progression is tied to a complete card collection. 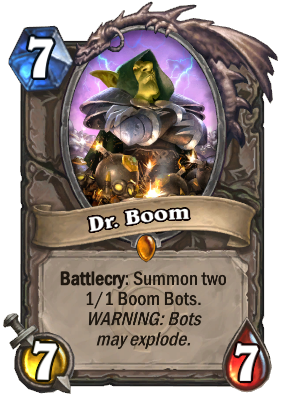 For average players such as myself, there is nothing more frustrating then losing a mirror match I've played well when my opponent plays an expensive card that I don't have (usually Dr. Boom...) - my 'well played' emote is searing with sarcasm. The pay to compete notion isn't unique to Hearthstone but, as a digital card game, the developers have a lot of power to ensure that the difference between a stacked deck and a free deck is less extreme. Balancing cards that come from packs and adventures so that the effects are unique instead of straight-up more powerful can be done with simple card reworking through routine balance patches - a physical card game doesn't have the luxury of being able to recall every version of a card to ensure all players are using the same balanced version. That said, Blizzard has stated they are reticent to change cards because they worry it will be too confusing and that players will feel like they are losing ownership over their collection. I buy the argument to an extent but counter that, if Blizzard is going to change a card only in the most extreme circumstances, then they have a duty to try to balance the new cards they create. One example from the upcoming League of Explorers adventure is glaring in how poorly balanced it when compared to its free counterpart. Bloodfen Raptor is a 2-cost 3/2 minion that all players get as part of the free base set. It's not a particularly popular card for most decks but sees some play in quirky decks that rely heavily on beasts. 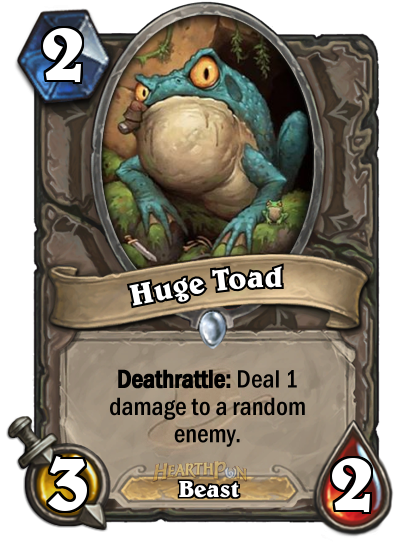 Huge Toad is available exclusively through the new adventure and brings the exact same cost and power but also comes with the unique effect of dealing one damage to a random enemy when it dies. No matter how you shake it, Huge Toad is a straight-up more powerful version of its free to play equivalent and any deck that uses a Bloodfen Raptor instead of a Huge Toad is unarguably worse for it. Why would anyone play Bloodfen Raptor when they could play this instead? I'm sure at this point, many readers will be screaming at their screens that all cards are available to free players and spending real money only accelerates the collecting process. While this is technically true, I counter that the grind for free players to obtain a competitive collection is unreasonably long and that collecting enough cards to make anything beyond a single complete competitive deck is unrealistic. Let's look at the methods available to free players to obtain cards. Players get one pack a week for winning the tavern brawl, likely at least one rare card a month for ladder placement, one pack per arena run, and a few cards for each unlocked wing of an adventure. The free weekly pack is easy to obtain but is more like a login bonus then a viable source of cards. The same goes for ladder ranking rewards which are more of a way for already established players to get ultra-rare cosmetic golden cards then for new players to build their collection. Arena runs and adventure wings both require in-game gold to play so their efficiency depends on the rate that a player can gain gold. In game gold is accrued at a rate of 10 gold per three wins plus an average bonus of 50 gold per daily quest. Arena runs, the most efficient method of getting packs and cards, cost 150 gold which implies 30 wins plus a daily quest per go. It's probably more realistic to assume players with around two hours of daily play will get 9 wins and a quest done which is about 80 gold per day. Each adventure wing costs 700 gold to unlock which, at a stretch, is an entire week's worth of play. It is possible for players to make their gold investment back from arena if they maintain a 2:1 win/loss ratio but the average player (not a pro!) will likely be much closer to a 1:1 ratio which effectively lowers the cost of arena from 150 to somewhere around 100 gold per pack. It's generally accepted that it takes around 40 packs per legendary through the arcane crafting system and new players will be higher than this as they need to complete their collection of rare and common cards first. A look at the most popular decks in the current meta shows between two and three pack legendaries and around one adventure legendary per deck. Putting this all together, once you've picked a deck you want to build, you will need to open around 120 packs and unlock one complete adventure before you've built it which is probably around 250 hours (4 months at two hours a day) of play time. Granting that much of the above is broadly estimated and allowing for some variance in arena success (especially as a new player gets better) I don't think it's out of line to suggest at least 150 hours of play time to build a complete first deck. Personally, I don't consider 150 hours of playtime reasonable for the average free player to make a deck and suspect that most players will stop playing long before they reach this milestone. The alternative is to spend between 70 and 100 dollars (notably more than the cost of a new AAA game) to unlock the adventure and buy the packs to save the time. While the above news is probably a blow to the dreams of free players everywhere, there are decks that are purposefully constructed to be as cheap as possible without sacrificing win potential. Most of these decks rely on the rushing strategy of directly attacking your opponent and trying to kill them before they have a chance to play their big cards. While aggressive decks can be an interesting part of the game that players need to build around, it's a problem when most free players see it as the only viable option to compete. The prevalence of ultra fast cheap decks on the lower ladder contrasts starkly with the play seen at the world championships. Lower ladder play in Hearthstone is pretty much a story about who draws the best opening hand instead of who plans the best or finds the best counter to their opponent. Unfortunately, when match after match becomes about racing damage as fast as possible with no real thought given to each play the fun factor is lost. I worry that as Blizzard continues to create new cards that are obviously better than those in existence, players who don't pay to add them immediately to their collection will continue to fall behind and ultimately decide to stop playing entirely. I get that Hearthstone needs to make money for Blizzard to continue its development but I would much rather see a smaller collection of really interesting balanced cards and a more proactive approach to tweaking the existing sets rather then releasing cards that players feel are mandatory additions to their deck. 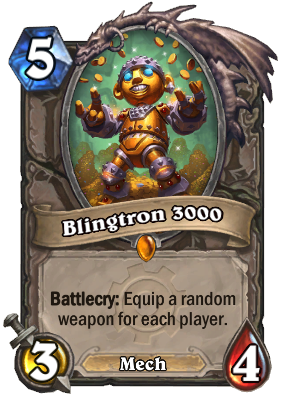 I think it's pretty clear that if anyone has dreams of competing in Hearthstone they will need to invest some real money into making a deck. Unfortunately, as Blizzard continues to expand the card collection with mandatory upgrades like Huge Toad, the gap between the free and pay players will only widen. While some decks are purposefully built to be as cheap as possible, I feel they ultimately hurt the overall experience and rely on cheesy tactics to win games rather than highlight the strategic elements that make high level Hearthstone exciting to play and watch.